Hello there! Welcome back to Joanne Wee's Journey! It's a happy month to all Malaysian, it's a new start to all of us. 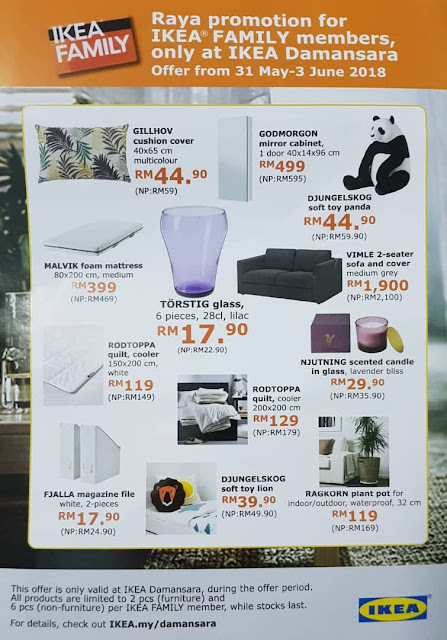 Say Bye-Bye to 6% GST, Hello 0% GST and everywhere with Promotions! Huray! 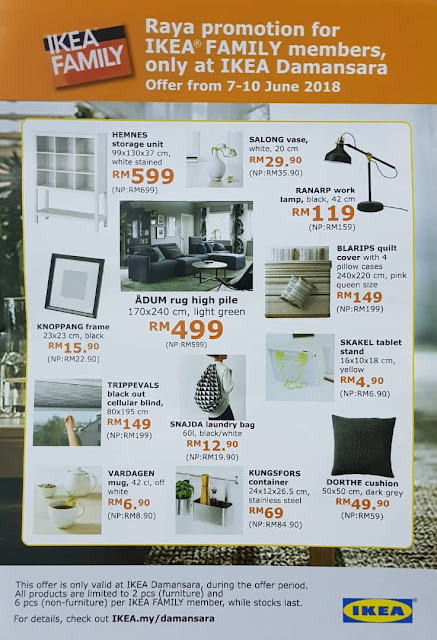 Today I went to do some shopping at IKEA Damansara. 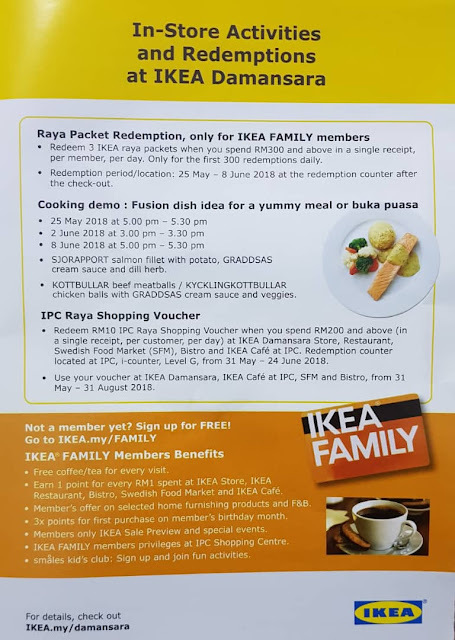 After payed our bill at the counter, the cashier told us, that we are able to collect Raya Packet as Redemption, only for IKEA FAMILY members, and share with us brochure, there are a few promotions on going and coming soon! 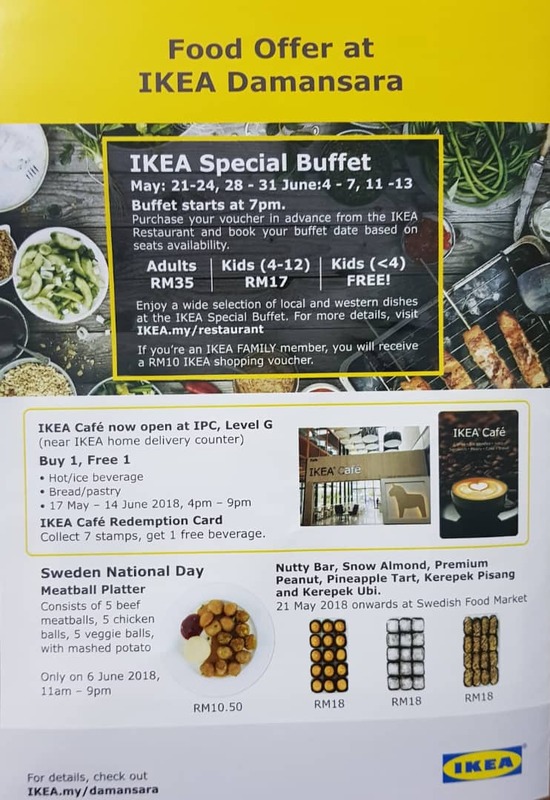 I was wondering:"Why don't you provide the brochure at the entrances of shopping? I already paid, then only get the brochure. Somehow, it's good for me, without knowing I won't spend more. Hahahaha!" For who needs to shop at IKEA and need to items from this promotions?